Whomp whomp. There're no Band Leader Smurves for sale. 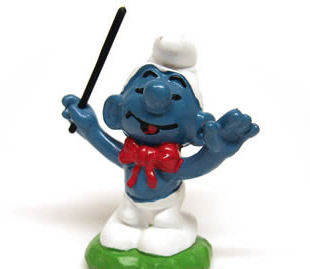 This Band Leader Smurf stands on a green podium wearing a red bow tie with a stick in one hand.